1. The Asian Bankers Association held its 8th General Meeting and Seminar in Kuala Lumpur Malaysia on December 9 – 10. 2. Some 117 participants from 84 banks in 23 countries attended the meeting and seminar, which was hosted by Malayan Banking Berhad under the leadership of Mr. Ahmad Bin Mohd Don, Managing Director of the Bank. 3. It was inaugurated with an opening address by Yang Berhormat Dato Seri Anwar Ibrahim, Minister of Finance of Malaysia. Mr. Anwar Ibrahim described the major transformation of the world economy with the emergence of trade blocs and suggested the need to respond to these developments in order to sustain the economic prosperity of the region, the reason why Malaysia proposed an EAEC. He also cited the imbalance between supply and demand for capital and the possible scaling down of capital out-flow by the providers of funds in the past due to changing economic priorities, as well as the growing demand for funds everywhere and the need to find solution to this issue. He pointed to Malaysia’s new trust to promote more domestic savings and policies to strengthen sustainability of external payments – or to be more self-reliant. 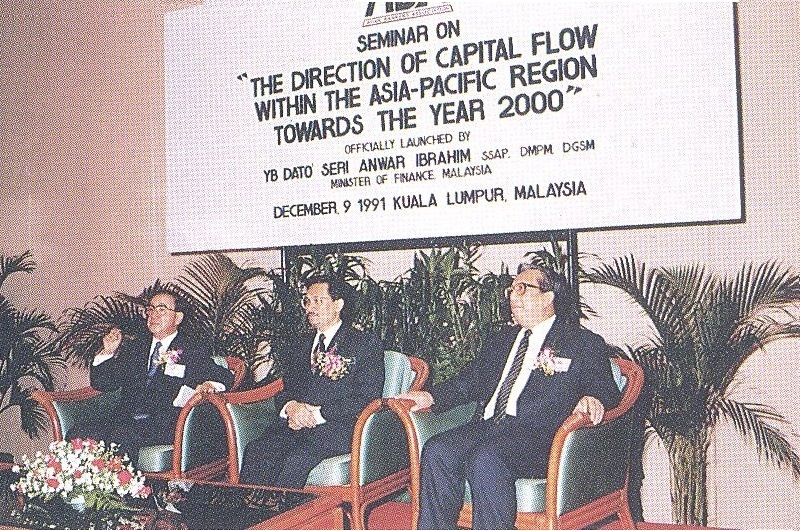 He also explained Malaysia’s efforts to distribute limited resources in a fair and optional manner and to insure that resources will be productively utilized with full realization of the need for a great deal of capital resources to finance the country’s march to become a fully industrialized state by the year 2020. He also pointed to the appropriate position of bankers to influence the direction of capital flows. 4. Mr. Tetsuya Horie, Chairman of ABA, presided over the opening session. He said that “as bankers, we have a responsibility to ensure that there is an adequate flow of funds available for the continued development of the Asian economy. However, we must be prudent and not overheat the economy. In this way we can contribute to long-term sustained growth in Asia.” The seminar will examine how the global shortage of funds will affect Asia and how we can minimize its impact in the region, he explained. 5. The seminar had for a theme “The Direction of Capital Flow within the Asia-Pacific Region Toward 2000” which is in line with the objectives and program of ABA of supporting in the sphere of finance regional cooperation. 6.1 “The coming Worldwide Shortage of Funds and the Change of Capital Flow” by Mr. Tomomitsu Oba, President of the Japan Center for International Affairs, Japan. Mr. Oba addressed three issues, namely: 1) the need to strengthen cooperation among Asian nations; 2) the trends of Asia’s financial markets, and; 3) the coming worldwide shortage of funds and the change of capital flow. He believes that the 1990s will not be the age of Asia but the decade of Europe with its creation of a single market, the unification of Germany and the political and the economic reforms taking place in the Soviet Union and Central Easter Europe. 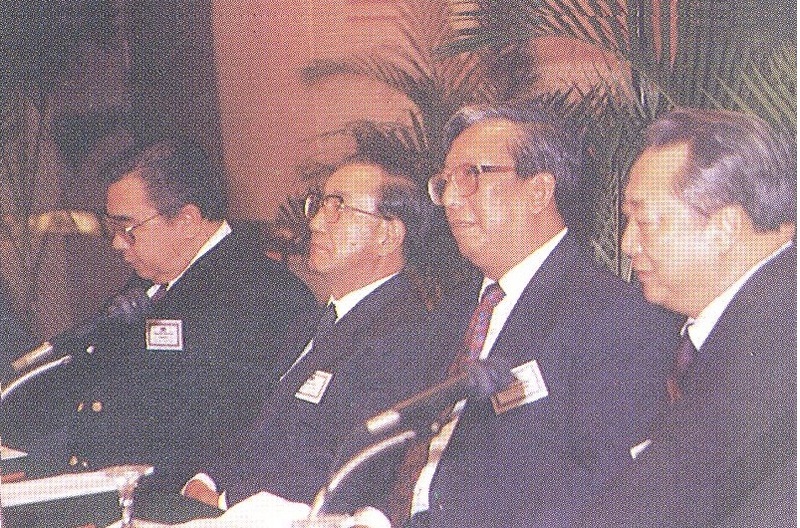 However, he thinks that the 21st century will still be the century of the Asia-Pacific region. Under these issues, he discussed the possible efforts to integrate of the European community, the North American Free Trade Area, and the urgency of strengthening cooperation in the region. He also explained how the high economic growth of the NIEs and ASEAN countries was achieved with their steady and fast pace of development of financial and capital markets. He discussed also the growing demands for investments and the shortage of savings and how these are coming about and the changes of Japan capital flow. 6.2 “International Co-operation and the Role of the United States in Facilitating Worldwide Capital Flows” by Dr. Manuel Johnson, Co-Chairman of the G-7 Council, and Former Vice-Chairman of the Federal Reserve Board of Governors, U.S.A. Dr. Johnson first discussed the short and long-term issues associated with world-wide capital flows. With the unification of Germany, he pointed to the country’s huge need for capital, running down its large surplus position to actually become a capital importer. To avoid inflationary pressures, he said, Germany had to maintain an extremely tight monetary policy and quite high short-term real interest rates which had the effect of attracting funds into mark-denominated assets, strengthening the dollar against other currencies especially the European currencies. Dr. Johnson remarked that Japan had its economic slowdown from a very strong period of growth, citing that most of the weakness tends to be from lack of demand on the domestic front more than the foreign side. There has been a significant slowdown in worldwide lending by Japanese financial institutions as a result of the high cost of capital, he said, which resulted in the slowdown of outflow of capital from the country. He also talked of capital flows to China and the Southeast Asian countries. He thinks that capital will certainly in the short and long-term continue to be targeted for the Asia region. He discussed the flow back of capital to Latin American countries as they improve their economic performance and adopt more realistic and practical policies, and of the requirement of the Middle East for short-term capital especially Kuwait as it goes into the rebuilding stage. Turning to the role of the United States in facilitating worldwide capital flows, he said that the country must, of course, first put its house in order in the light of the slow recovery from the recession and its budgetary deficit. More taxes is out of the question in an election year so it will have to cut on defense spending. We do see stimulative monetary and fiscal policy. He expected the need for careful coordination of economic and fiscal policies among the major industrial countries in order to facilitate a smooth and stable flow of capital within the global system. He stressed the critical need for coordination among the G-7 countries especially in the imbalances between investments and savings and between low savings potential and the high savings potential of industrialized countries. He also saw the importance of pursuing liberalization of international capital markets for the smooth flow of capital. He expressed the need for the U.S. to maintain the credibility of the dollar as a world reserve currency and to continue to support international coordination of financial rules and regulations such as international agreement on safety nets, financial structures, the standardization of capital ratios, and the measurement of BIS capital standards. He finally saw the need of U.S. leadership in providing a level playing field for financial institutions worldwide. 6.3 “The Change in the International Financial Situation and the Asian Strategy of Banque Indosuez” by Mr. Gerard Worms, Chairman, Compagnie de Suez, France. Mr. Worms’ speech was presented in “video format” with introductory remarks by Mr. Patrice Leopold, Deputy General Manager, Suez International. Mr. Worms discussed the global savings shortfall and how it has come about. He described the situation thus: “Some countries – especially the United States, but to a lesser extent France, the United Kingdom, Italy and others – have suffered for several years from a savings shortfall. Until recently, many other countries – including the former West Germany, Japan, and certain other Asian nations – had been accumulating surplus savings. On a global level, savings was therefore adequate, although it meant that countries with too little savings carried “excessive” debt vis-à-vis those that had too much. Little by little, the developed countries lost their savings surplus, while more and more countries racked up savings shortfalls. Immediately upon unification, Germany absorbed its surpluses in record time. For several more years to come, Japan and a number of other Asian countries will remain the sole suppliers of savings. While Asia is still relatively free of savings shortfall, it is heading – even if it’s more slowly – toward such shortfall and will, therefore, have an increasing need for outside capital, he indicated. While japan has invested last year US$8 billion in Asia or more than half the area’s total foreign investment compared with only a quarter in 1986, Europe could represent a handy backup to Japan, he added. It will be useful to tap the experience of the vast project-financing deals currently underway in Europe or the new kinds of private infrastructure financing developed by Europe’s major industrial and financial consortia. From then on, he cited the Suez Group as especially well positioned to take part in the sort of far-reaching partnerships between Asia and Europe. 7. Regional Reports were presented by: a) Mr. Abdullah Ali, President Director, Bank Central Asia; b) Mr. Mohd Salleh Harun, Senior General Manager, Malayan Banking Berhad; c) Mr. K.S. 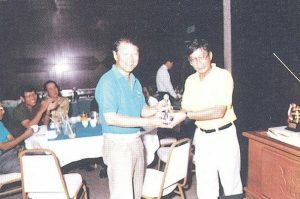 Wang, President, Bank SinoPac, and Former Executive Vice President, Bank of Taiwan; d) Mr. David K.P. 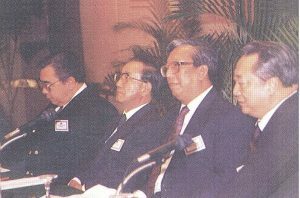 Li, Director and Chief Executive, The Bank of East Asia, Ltd.; e) Mr. T. Kohno, Managing Director and Chief Executive, International Banking Group, The Mitsubishi Trust and Banking Corp.; and f) Mr. Kwang-Soo Shim, Assistant Governor The Korea Development Bank. The Regional reports discussed the macroeconomic frameworks and banking environment in their respective countries or economies, their level of savings performance and the gaps where foreign capital is needed. This is with the exception of Hongkong, Taiwan, and Japan where savings is adequate but where dimension of public policy is urged to maximize international competitiveness and to encourage the most efficient local mobilization of funds. For Japan most particularly Mr. Kohno described its importance and commitment as a key supplier of funds to Asia. 8. 8.1 Mr. Patrick Yeoh, President of the Development Bank of Singapore, Ltd. Mr. Yeoh highlighted the points raised. In brief, he said that total demand for capital has never been fully met and that there has always been a shortage. However, many of the countries in the Asia-Pacific area have current account surplus and savings and there is optimism that such balances will continue to provide impetus for growth in the whole region. Therefore, the Asia-Pacific economies will be relatively better off in the face of capital global shortage because economic growth will be able to put them in a stronger position to attract capital and that in turn will spur more economic growth, he said. 8.2 Dr. Amnuay Viravan, Chairman of the Executive Board. Bangkok Bank Ltd. Dr. Viravan while some countries of the region are net capital importers, the Asia-Pacific includes the world’s largest exporter of capital, namely Japan, and newly industrialized economies like Taiwan, Hongkong, Singapore and South Korea as a group are also a significant net exporter. But in the face a worsening worldwide credit crunch, and more cautious approach to credit as a result of bad debts, asset depreciation and the need to comply with the BIS rule on capital adequacy, those capital-starved countries with low credit worthiness will be faced with growing difficulties in raising funds to satisfy their needs. Though more funds are flowing and will flow to the post-Socialist countries of the Soviet Union and Eastern Europe, he expects that the flow of capital from Japan to Southeast Asia will continue to grow. 8.3 Dr. Jeffrey L.S. Koo, Chairman and Chief Executive Officer, China Trust company, Ltd. Dr. Koo underscored the message made by all the speakers that in the face of capital shortage, most Asian countries will determine their priorities for projects to further continue growth. He said that most Asian countries will be focusing their national resources to domestic infrastructure development as a motive power for further economic growth. This is indicated in the country reports of Republic of China, Japan, South Korea, Hongkong, Malaysia and Indonesia, he said. This shift in development strategy will require a tremendous outlay of capital investment and will likely deplete the supply sources of funds. He expects a capital shortfall the world over. Reunited Germany is being preoccupied with the other part of Germany, Eastern Europe and Soviet Russia which would need about $40 billion a year to implement economic reforms. Because of reconstruction after the Gulf War, the OPEC countries would have less surplus capital for export. The United States is beset by its twin deficits and the Third World would be laden with increasing foreign debts. Global savings rates is also declining. He suggested that regional cooperation be strengthened so that the available limited fund resources may be used to yield optional benefits for the region. It will be necessary for all countries to liberalized and internationalize their financial systems and adopt these as their national policies similarly as the Republic of China has done. He also suggested that banks in each country should set up foreign branches to facilitate capital flow. He opined that money market should be effectively linked up with modern information system and that international consortia should be formed to finance major projects in the region. 8.4 Mr. John F. Ries, Chief General Manger – International Banking, Australia and New Zealand Banking Group Ltd. Mr. Ries initially raised the following points in connection with the theme: Firstly, the real issue underlying our theme is whether the Asian region would be able to continue to offer world competitiveness and attractive risks, recognizing all costs, including environmental ones. Secondly, there is no denying that the pressures for capital have changed throughout the world, probably making a higher cost of capital inevitable. Thirdly, the challenge continues for countries to allocate resources in such a way that the supply-demand continues for countries to allocate resources in such a way that the supply-demand forces are left reasonably in balance to keep inflationary pressures to a minimum. Fourthly, domestic savings are important but international flows are complementary in the resource allocation effect. Fifthly, the political arena will remain important, particularly with regard to US-Japanese relationships. And finally, the importance of efficient, open, and competitive banking and financial sectors in channeling world capital flows cannot be underestimated. He raised the issue on the real magnitude of the savings and capital shortfall. He said that countries with sound fundamentals will be attractive to foreign investors, while countries which are less well-managed will find it increasingly difficult to attract capital and such capital they can obtain in the international market will be relatively expensive to compensate the lenders for risks. Additionally, he discussed the issue of cost. It is not just the overall quantity of funds available but also the quality of the recycling process. What this means is that there is competition for available pool of funds, the best to choose on the basis of returns relative to perceived risks. He believes Asian countries provide A- grade opportunities in an A-grade investment climate. To complete the transition to develop their country status, he said, Asian economies will need massive investment over a relatively short time. Growing personal wealth and the desire for higher consumption could reduce private savings ratios. This could lead to huge shifts in net savings position and will be reflected in rising current account deficits and shrinking surpluses. He is confident that Asian countries will be able to adjust effectively to solve the potential problems. He then commented on the country presentations. 8.5 Mr. Shiro Yokoi, Managing Director, The Long-Term Credit Bank of Japan Ltd. Mr. Yokoi commented on the estimates of capital that would be needed from OECD for the Eastern European countries and the Soviet Union. He said that it is an enormous capital but the US$4 trillion would be a most conservative estimate if those Eastern European countries and the Soviet Union really started to take off towards the market economy after setting aside their political problem. The implications of such capital transfer, he said, would raise three points: The first pertains to the time schedule of the renovation of their economy. The second is on the financing sector. For the urgent commodity aid, it is a matter of ODA and this necessarily means the change in ODA allocations. The financing for the renovation of the sector would necessarily mean that change of flow of private capital to the world but at present private capital is quite cautious to move to Eastern Europe. The third is the liquidity problem. There is the possible shortage of international currency in the Asian region, since the region prefers U.S. dollars to the Yen. But there is no problem of private capital inflow to the Asian region in general. European banks provide aggressive financing even to Asian projects because as with any other banks, they share profits and Asia will continue to be the most promising region for private capital. For Japan, he said it has 3 basic constraints as a capital exporting country, namely: (1) the surplus savings of Japan may not be maintained for a long time because the country is under pressure to increase domestic consumption and capital investments so that Japan reduces its export capacity and take a position as a locomotive of the world economy; (2) Japanese bank’s capacity is limited due to the BIS regulation on capital adequacy ratio; (3) the capacity of Japanese institutional investors in also limited. 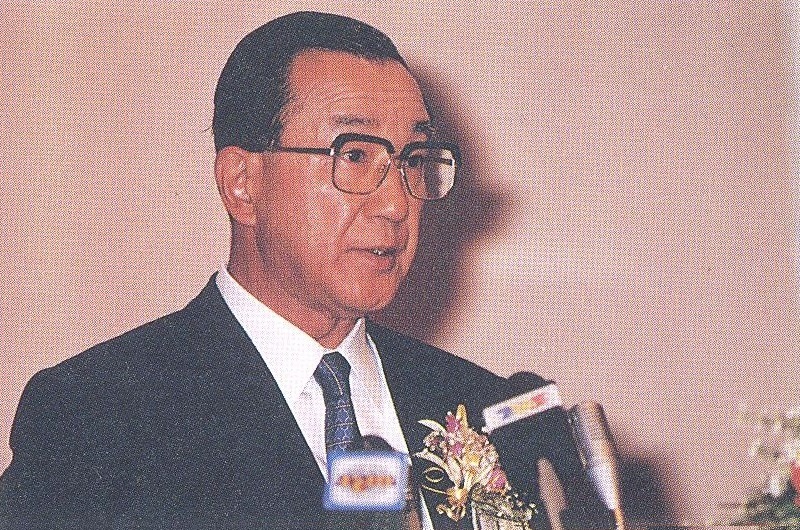 For countries to activate their dead or less-productive capital he suggested the privatization of public business and further utilization of dollars and domestic currencies in the international market in the region (e.g., “Dragon Bond” and “Samirai Bond” should be further developed). Encouraging the international distribution of bank’s assets in this region will also be of some help. Further internationalization of the Yen or creation of an Asian Currency Unit (ACU) would also be examples. “We are now indeed at a turning point in history. As we search for a new world order, a number of difficulties are being encountered. One such difficulty is surely the problem of the global funds shortage, which was the central theme of today’s meeting. “The factors contributing to this shortage have been explained clearly today and, as mentioned in the keynote speeches, there is a concern that real long-term interest rates may remain high. “Under these circumstances, if the Asian countries are to maintain the pace of growth that they have experienced in recent years, they will need to make a greater effort to increase and effectively mobilize domestic savings and to channel the excess funds to those countries in the region who are experiencing a shortage. “First, there will be increasing investment in infrastructure in order to facilitate further economic development. Second, local private companies, including the privatized state enterprises, will be increasing their investment in plant and equipment. “In Japan, the government is already planning to spend 430 trillion yen for public investment in the 10-year period through the year 2000. In the rest of the Asian countries, it is also becoming more urgent to develop infrastructure, such as roads, ports and airports. “Foreign companies have contributed significantly to the development of the Asian countries in the past, and they are expected to continue to play an important role in the future. However, the privatization of state enterprises has been progressing and it is expected that the growth of local private companies will be the leading force in the future economic development. “Asian countries have progressed considerably in the upgrading of their financial systems, prompted by the accumulation of private financial assets, increasing financial transactions, and changing financial needs of corporations and household. The reforms have included the liberalization of financial systems, the development of capital markets, and the deregulation of foreign exchange transactions. First, there is the need to develop stock markets as a means of promoting privatization. Second, there is a need to promote the development of a bond market which is capable of absorbing the large amount of bonds that governments will need to issue to maintain adequate revenue. Third, there is a need to develop stock markets as a means of promoting privatization. And fourth, there is a need to establish a system to promote the long-term lending of commercial banks. For this purpose, it is essential to further develop short-term money markets. “These four measures would stimulate further improvement to the financial system of each country. However they could also mean that the management of banks could take place in an increasingly more difficult operating environment. 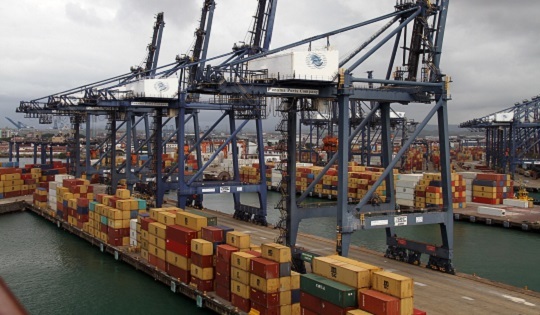 “The Asian countries, particularly those of the ASEAN, will still have to rely on imports of capital from abroad, including direct investment by foreign companies. “Moreover, the rapid economic development of these countries is complemented by the emergence of Hong Kong and Singapore as international centers of financial intermediation. As a result, an extremely close relationship has developed in Asia whereby the countries in the region complement each other even in the financial arena. “In this context, we regard the Asian Development Bank’s recent flotation of “Dragon Bonds” in Hong Kong, Singapore as international centers of financial intermediation. As a result, an extremely close relationship has developed in Asia whereby the countries in the region complement each other even in the financial arena. “This financial institutions in the Asian region, including the members of the Asian Bankers Association, have a responsibility to provide necessary and sufficient funds for long-term economic development. It will be necessary for us to increase our credibility through the soundness of our management and strengthening our business foundations. At the bottom line, it is important that we make every effort to improve the accuracy and reliability of operations by the region’s banks. We must also strengthen the network of financial cooperation within the region. 4. The exchange of personnel and training. 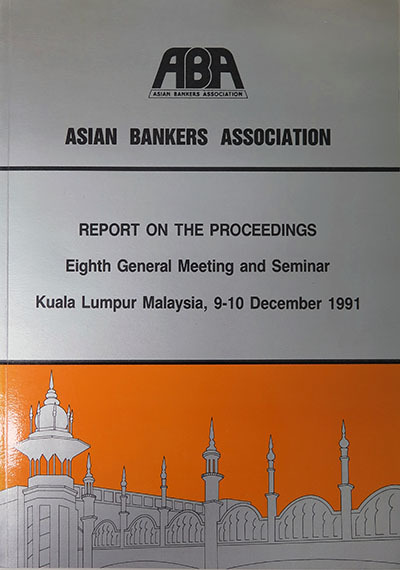 “ABA is now in the position to play a central role in the Asian region at the level of the private sector as regards the promotion of both mutual transfers of financial knowhow and cooperation within the banking business.” He expressed hope that ABA members seriously consider these ABA objectives and lend their support and guidance for its further development. 10. At the 8th General Meeting, Mr. Tetsuya Horie in his capacity as Chairman of Asian Bankers Association, assisted by the ABA Secretary – Treasurer, Mr. Johnson C. Yen presented a Report on the activities of the Association. The highlight of his report dwelt on the 22.5% increase on membership for the past year, the professional development program which include training courses, seminars and annuals country programs, and the information program of ABA. 15. A Board of Directors Meeting also preceded the Seminar and the General Meeting. At this meeting, new applicants for membership were approved and new professional development programs were discussed. Procedure and sequences of the Seminar and the General Meeting were also clarified at this meeting.